This codebook has charts and figures describing how the reader can master the art of secret communication. It is the first book in English on cryptology, published anonymously in 1641. John Wilkins, a chaplain who married Oliver Cromwell’s sister and became Bishop of Chester and a founder and first secretary of the Royal Society revealed himself to be the author when the second edition was printed that same year. 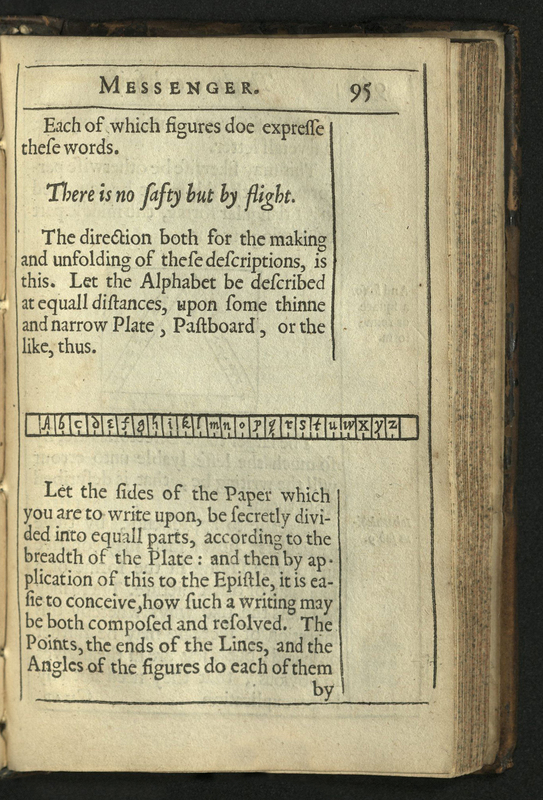 Mercury introduced the words “cryptographia” (secret writing), and “cryptologia” (secrecy in speech) into English. Wilkins defined “cryptomeneses” as the art of secret communication, in general. 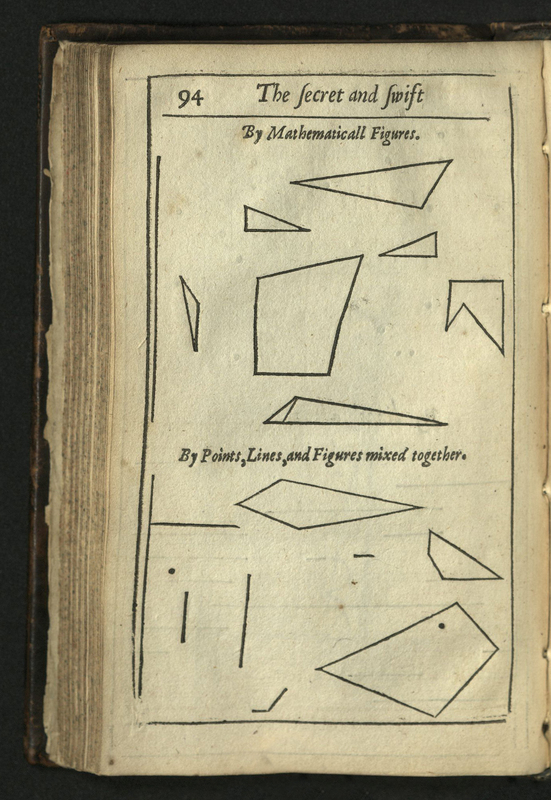 Wilkins described three kinds of geometrical cipher, a system in which a message is represented by dots, lines, or triangles. The letters of the alphabet, in normal or mixed order, were written out at known spatial intervals, serving as the key. This line of letters was held at the top of a sheet of paper, and the message was spelled out by marking a dot for each plaintext letter underneath that letter in the key alphabet, each dot lower than its predecessor. The dots could then be connected by twos to form lines, by threes to form triangles, or all together to form what would look like a graph. Or, they could be left as dots. 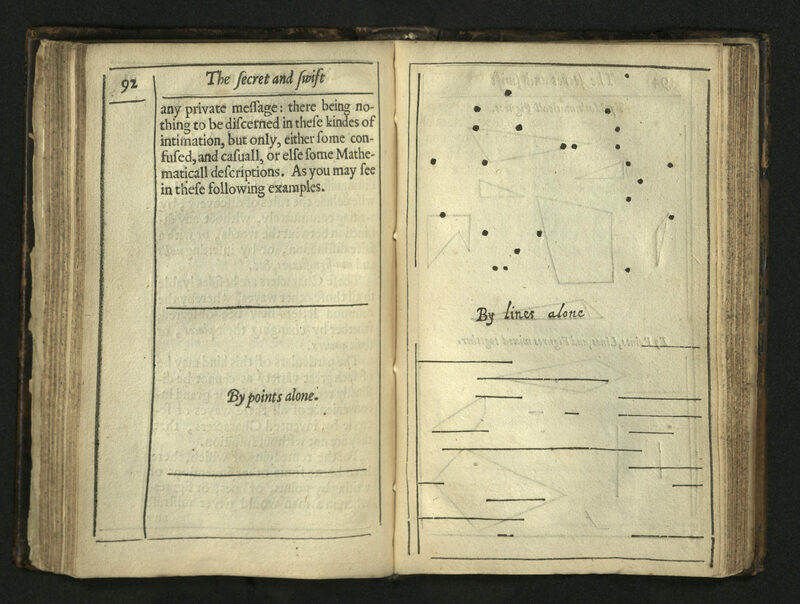 The receiver, who had an identically proportioned key, noted the positions of the dots, the ends of the lines, or the apexes of the triangles against the alphabetical scale to read the plaintext. 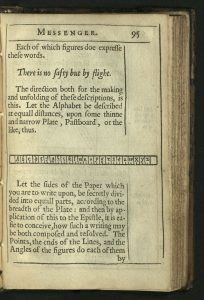 The end papers and flyleafs, front and back, are 17th century printer’s waste from an unidentified French to English dictionary. Ex libris Lawrence Strangman, a collector of 16th to 20th century English literature. Kiev: v Kievopecherskoi lavre, 170? The Monastery of the Caves was founded in 1015 just outside of Kiev. In 1615, as part of a prestige-building effort, the Abbot raised money to buy a printing press. 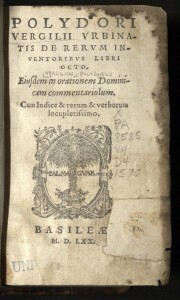 The oldest known work from the press is dated 1616. Along with mostly liturgical works, the monastic press supplied books for local schools. The monastery built a paper mill and other facilities to produce printed materials. The editions out of Kiev were models of scholarship and attractive appearance. Orthodox Kiev considered itself the center for Slavic peoples that shared the faith. The press expressed this belief in an introduction in one of its books, saying that the book was intended not only for all of Little and Great Russia, but also for the southern Slavs – Serbs, Bulgarians, the Adriatic Slavs, Moldavia, Wallachia and Semigradia. 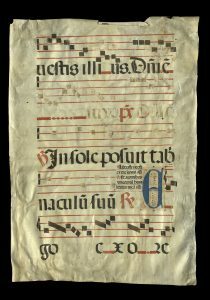 While the liturgical works from the Kiev press were reproduced according to Greek printed editions, variations began to develop. Added to the books were new dimensions that reflected the local population. 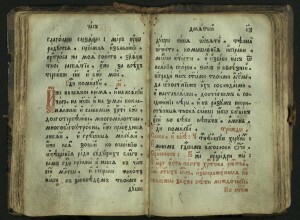 These variants to the traditional Orthodox liturgical output gave the Kiev editions a character all their own. In Moscow, the Kievan editions came to be regarded with suspicion. Even so, Moscow printers chose Kievans as correctors and advisors for their publications. Kievans knew the Greek language much better than Muscovites. In the end, most Moscow editions were simply transcriptions of the Kievan translations. 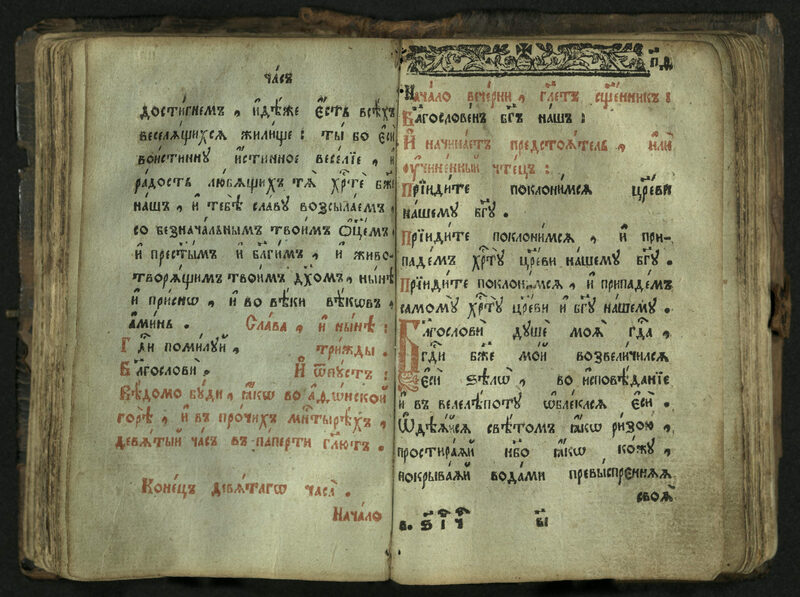 This book is a liturgical work in Church Slavic, the language of the Orthodox Church in Russia and the literary language in various parts of the East and West Slavic speaking areas. 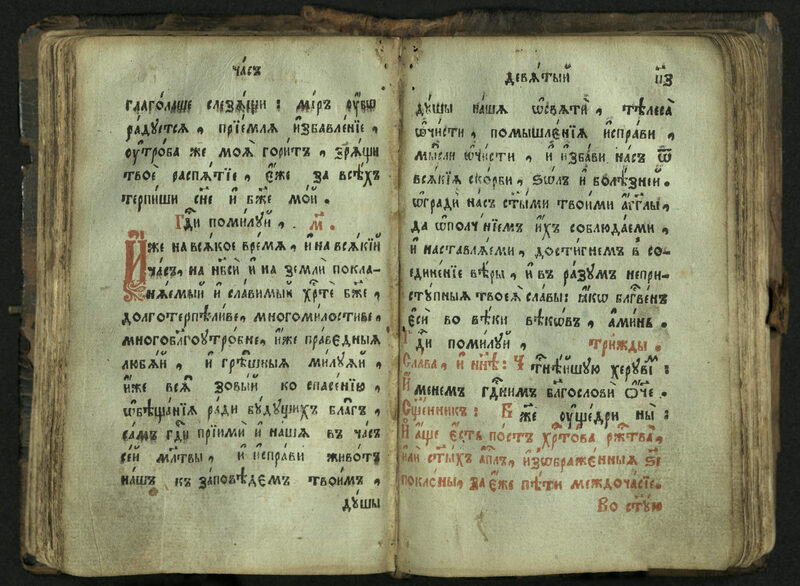 Saint Cyril and Saint Methodius created the Glagolitic Cyrillic alphabet in the mid-ninth century. 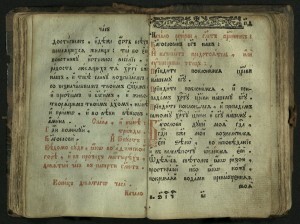 Soon after, in the mid-9th century, they began translating the Gospels, probably from a Greek lectionary, into Old Bulgarian, now commonly called Old Church Slavonic. This copy was printed in red and black and bound in wood and leather – an excellent, albeit worn, example of bookbinding in eighteenth-century Russia. Gift from Deseret Industries. The Salt Lake City Public Library donated a sixteenth century book to the Rare Books Division, thanks to the well-trained eye of City Library staffer Barbara Chavira. Barbara worked part-time in the Rare Books Division for many years. Her passion for the art of books, in all forms and over the centuries, brought us this important and welcome addition to the rare book collections. Thank you, Barbara ! Thank you, City Library ! 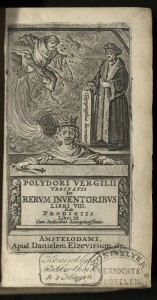 Polydore Vergil (ca. 1470-1555), an Italian priest, spent much of his life in England. 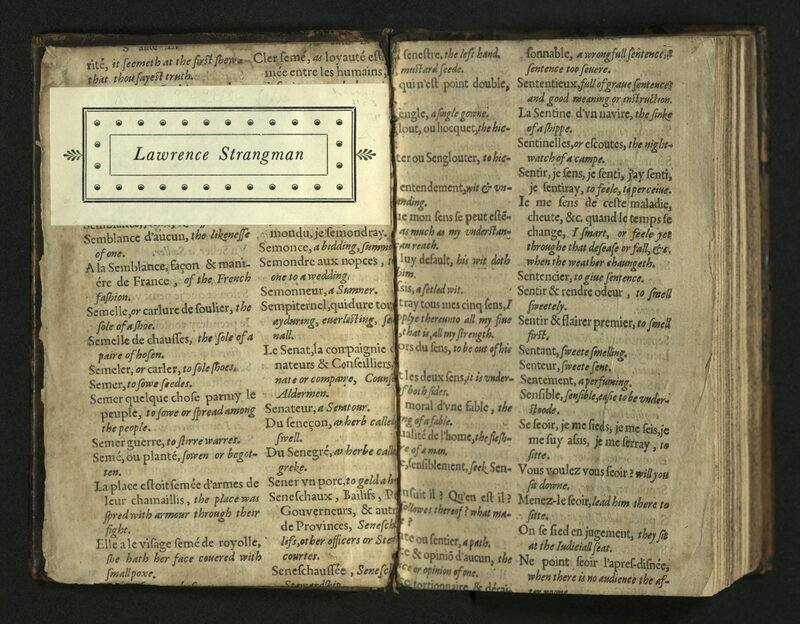 He is recognized for his history of England, a work that Shakespeare is known to have used as one of his sources. Vergil used critical analysis in his narration of historical events. His thesis that King Arthur was little more than fable, for instance, shocked contemporary readers. 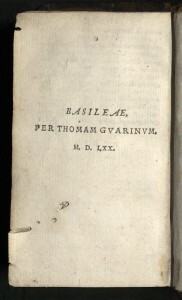 It is his second published work, however, for which he was best known in his time. 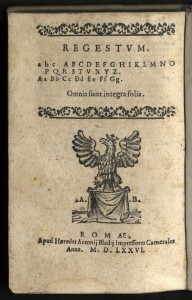 First printed in 1499, De rerum inventoribus (On Discovery), was a work unlike anything that had been published before. An inventory of historical “firsts,” it combined a wide array of subjects in an attempt to determine which individual or culture first invented things such as the alphabet, astronomy, magic, printing, libraries, hunting, festivals, writing, painting, weaponry and religion. Vergil culled much of his work from a wide range of ancient and contemporary writers. He focused on the genius of man in the origin or invention of all things – heretical thinking at the time. In Book I he investigated the creation of the world, the origin of religion, the origin of the concepts of “god” and the word “God.” He suggested that much of Christianity had been adapted from Judaism or Roman paganism. 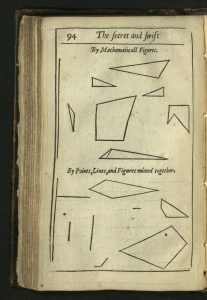 Books II and III were studies of a wide-range of topics, mostly concerning the practical and mechanical arts including anatomy, astrology, law, medicine, commerce, mathematics, mineralogy, music, pharmacology, physics, trade, agriculture, architecture, sports, theater, navigation, and winemaking. The work was translated into French in 1521, German in 1537, English in 1546, and Spanish in 1551. 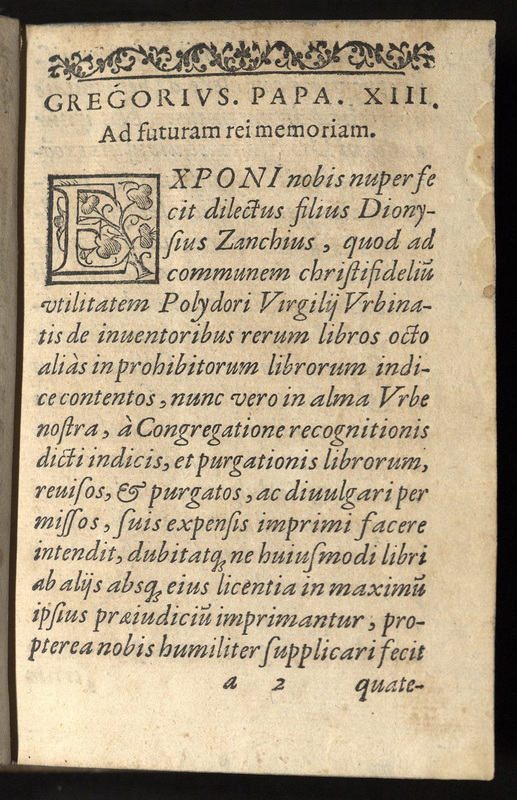 In 1521, more than two decades after he wrote the first three books, and at the dawn of Martin Luther’s protestant reformation, Vergil added five more books concentrating on Christianity. Vergil reworked his discussion of Christianity in deference to the Roman Catholic Church, which objected to Vergil’s reference to religion as a matter of scientific investigation. In spite of this concession, Vergil anticipated the scientific approach to religion that would become the norm a century later. 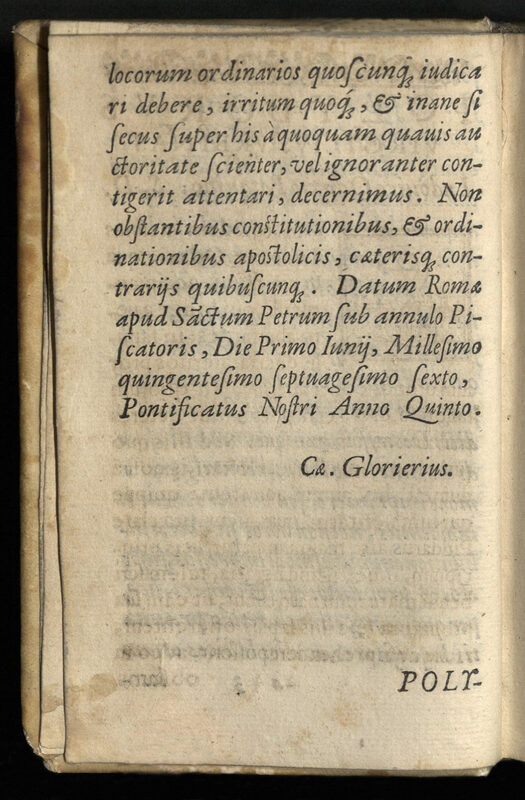 The intended salve to the church failed when Vergil criticized monks, priestly celibacy, and indulgences. 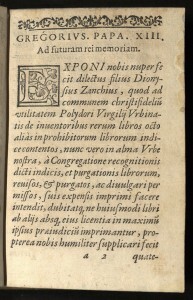 In 1564 the work was declared heretical and all editions were added to the Index of Forbidden Books. However, the work was so popular that two censored editions were printed after the ban. 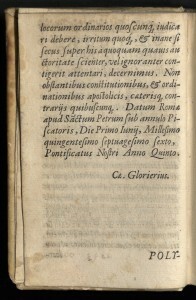 This 1576 expurgated edition was sanctioned by Pope Gregory XIII in its front matter. 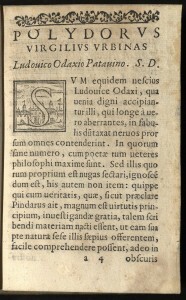 It is significant that this edition was printed by the heirs of Antonio Blado’s shop. 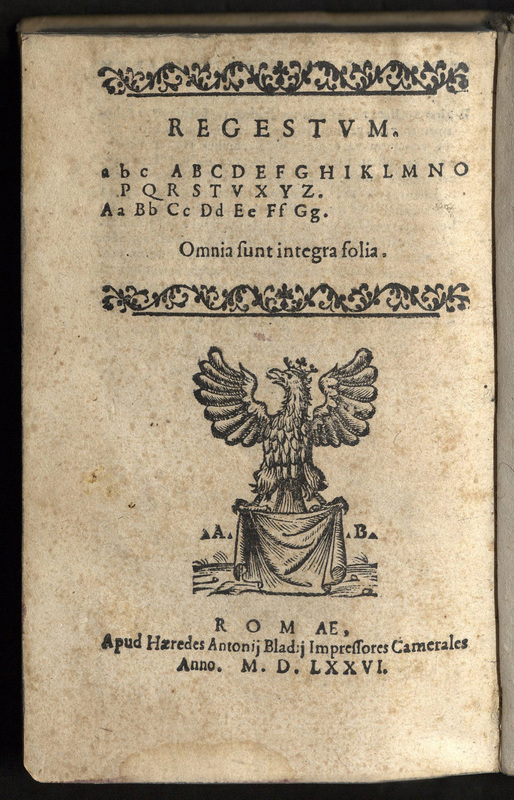 Blado worked in Rome from 1515 to 1567 as a printer in the service of the papacy. He was well-known for his scholarly works in Latin, Greek, and Hebrew; and a 1549 document in Ethiopic type for the Ethiopian Church. 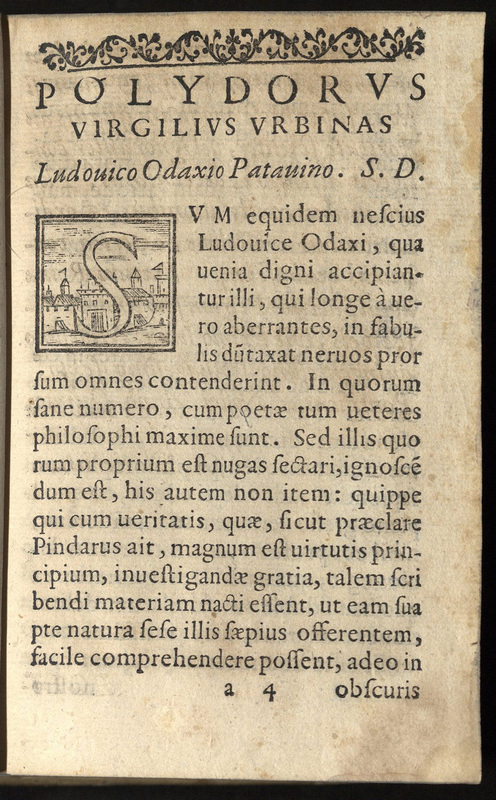 Blado is also known for his use of an early italic type created by Ludovico Arrighi. 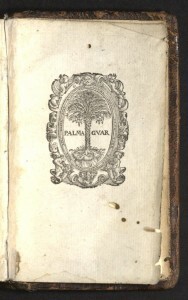 The Rare Books Division holds five books printed by Antonio Blado. 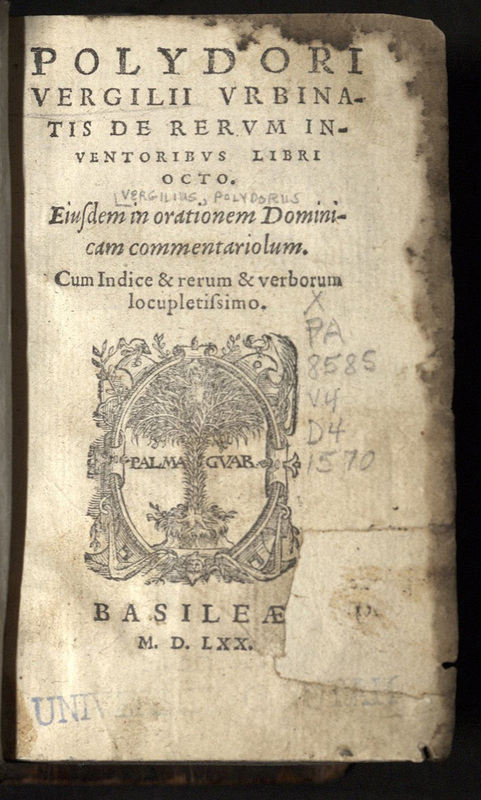 This 1576 edition of Vergil joins an edition from 1570 and another from 1671, already in the rare book collections. Printer Thomas Guarin (1529-1592) was born in Tournai. He worked in Lyons as a bookseller, but by 1557 was in Basel, where he married Elizabeth Isengrin, the daughter of a printer. Guarin took over his father-in-law’s small press at Michael Isengrin’s death. 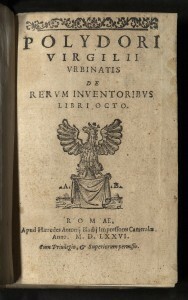 Michael Isengrin had printed one of the many editions of De rerum inventoribus to be published in Vergil’s lifetime. Each of these editions contained significant variations. Isengrin printed Leonhart Fuchs’s sumptuous De Historia stirpivm. 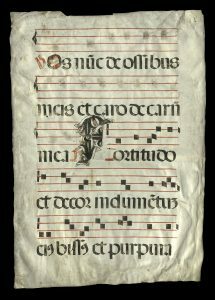 Along with the reprint of classical works, Guarin issued several editions of the Bible, published in both Latin and German, and one in Spanish. His printer’s device was a palm tree. 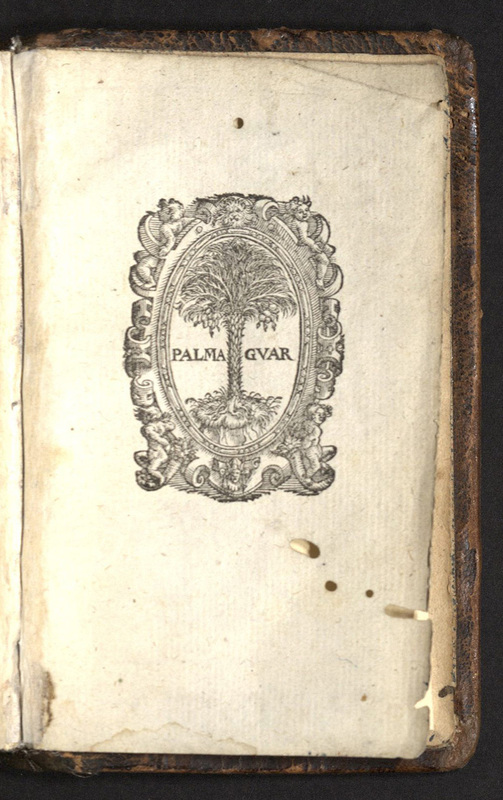 Daniel Elzevir came from a distinguished family of booksellers, bookbinders, printers and publishers. Louis Elzevir (1546-1617), a Protestant émigré, began the business in Antwerp in about 1565, after he left a job with Christopher Plantin’s print shop. The Elzevir enterprise became one of Europe’s largest printing houses. Louis’s sons expanded the business with branches in The Hague, Utrecht, and Amsterdam. The Amsterdam branch was established in 1638 by Louis III. His partner was Daniel Elzevir, son of Bonaventura Elzevir, son of Louis. Daniel continued the family reputation for fine typography and design work. 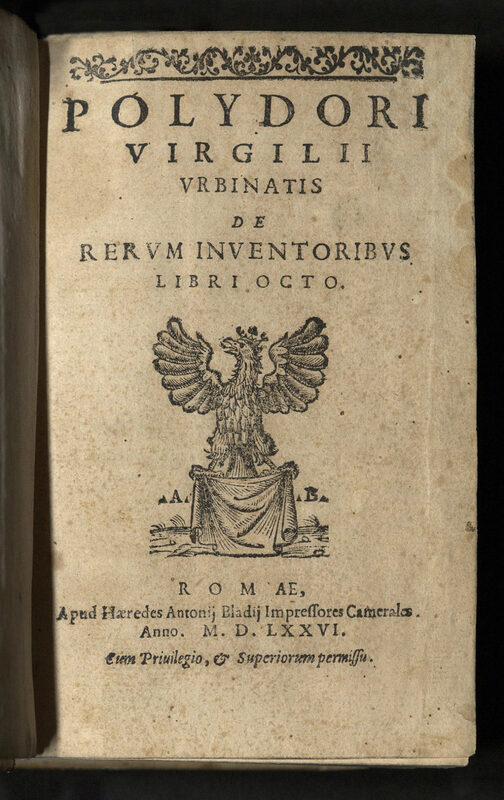 This edition of De Rerum inventoribus also contains another of Vergil’s works, Prodigiis, written in 1526 but not printed until 1531. 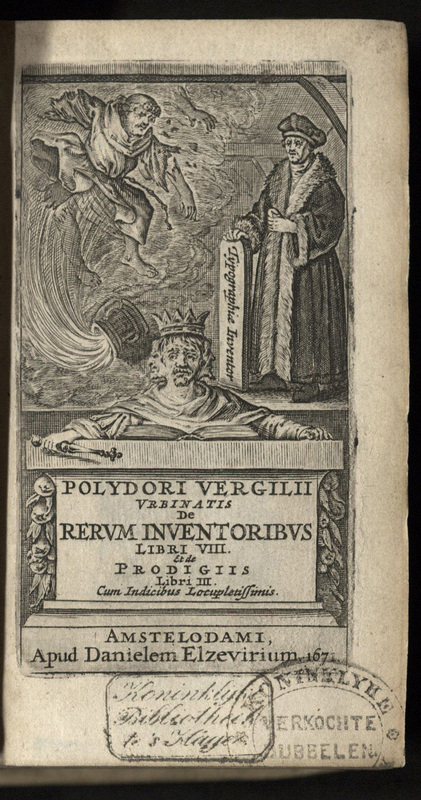 The engraved frontispiece for this edition includes the invention of printing as one of its main themes. Numerous carved initials and vignettes. 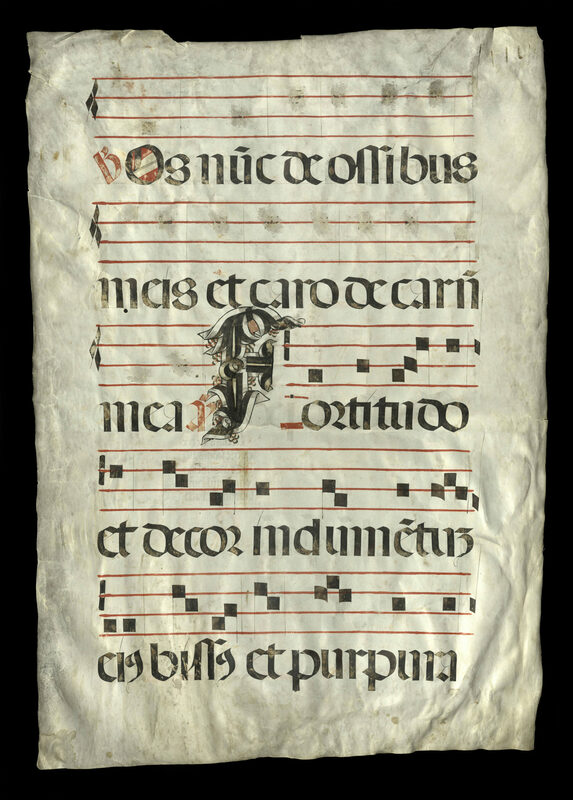 Bound in contemporary vellum.